I have had an amazing experience curating this special edition of My Chronicle Book Box! The first pre-ordered batch of boxes have been despatched and delivered and we have a few more boxes in stock now available for purchase! 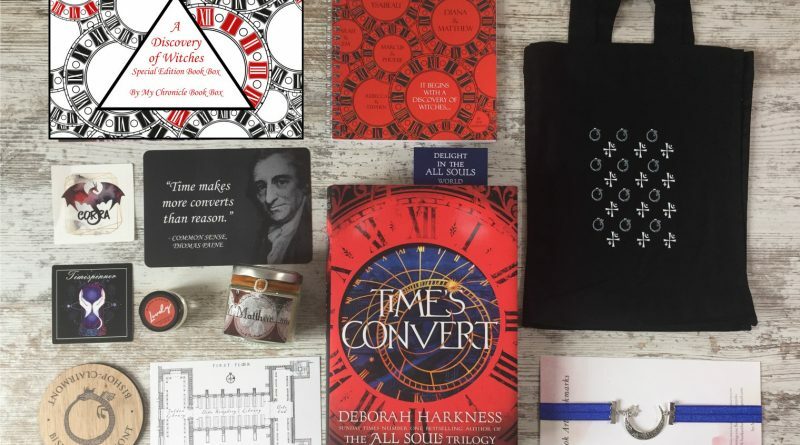 I have had the pleasure of working with a number of very talented designers and makers to bring you a whole host of items inspired by the All Souls trilogy to complement Deborah Harkness's new book Time's Convert. Thanks to Headline Publishing I was lucky enough to read an advance copy of Time's Convert enabling me to to include some items that tie in to this latest novel in the A Discovery of Witches series. There is just so much to be inspired by in this magical, historical series that the most difficult thing was deciding what items to include and not getting too carried away - our book boxes are only so big! 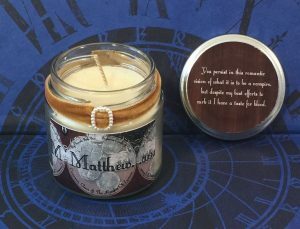 A Matthew inspired stretch bookmark with crescent and star by Book Art Bookmarks. A Bishop-Clairmont inspired wooden coaster with ouroboros design by Karin Star. A notebook for all your lists and ramblings inspired by the romantic pairings in the All Souls Trilogy and Time's Convert. A decorative sticker inspired by Diana's ability to timewalk. A double sided print commemorating Thomas Paine and his book Common Sense. A double sided print featuring the iconic Bodleian Library. These boxes are in stock and you can order yours now but we have curated a limited number of these boxes so don't delay and avoid disappointment! I have had such great fun and learned such a lot in the process of curating this box that I am sure to curate more special edition boxes in the future. What other special editions would you like to see? I'd love to know!